looking for a luxury limousine ride for your next anniversary? Looking for a new and unique way to treat that someone special to your anniversary? 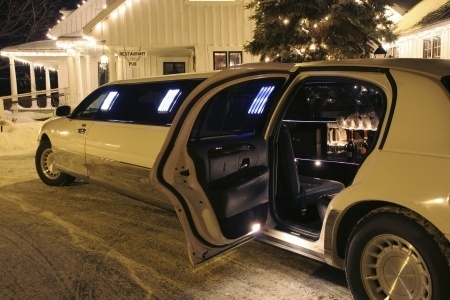 Well, why not spice it up with a limo ride to and from your favorite Milwaukee restaurant or club. Treat yourself and your loved one to a truly romantic night with Limo Party Bus Milwaukee. We will pick you up at your doorstep and bring you curbside to wherever you want to go. No problem! Ask away and let us count the ways to make your night a truly memorable night. We will have a bottle of champagne and a bouquet of flowers waiting in the limo for that someone special. What better way to say "I love you" than to treat the one you love to a luxurious and fancy night out on the town to all of your favorite spots in town. Not sure where to go.. No problem! Let one of our specialist help you plan out your special night. We can drop you off at one of Milwaukee's hotspots for a pre-dinner drink and then bring you to one of your favorite restaurants. Just make sure to fill out the form on the right or give us a call at (414) 622-1380 today to book your next Milwaukee limo service with Limo Party Bus Milwaukee today.